In Dragon Ball Online the players can choose from three different races. The three different races are Human, Namekian and Majin. Each race has 2 different types of initial classes, and it is up to the player which class he wants to choose. Performing Quests or defeating monsters, you can gain experience points. Accumulate enough experience points to rise your character level. Each level grant you more strength or skills. Each time you level up, you get 1 skill point (SP), and you can use the skill points to upgrade your skills. The game starts off with your character being a kid. 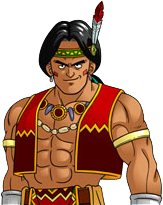 Once the character has reached level 30 the "Adult Quest" can be carried out which enables the player to transform into an adult and choose from one of the two the master classes accordingly to their race. Finally there is a specilization of master class quest which is to be completed by the player, once that quest is completed the player can finally equip the master class weapon and use the master class skills. To unlock the adult quest, level 30 must be attained. After that the player must find an "Item Box" located in many places in Korin Forest map, the most common being "Pasta Tower". Break them and attain an item called "Korin Spell" use that item to unlock hidden quest which will lead to an NPC called "Hada" and carry on from there. For the Adult Quest you must go to Korin, but you must first obtain admission qualifications.Ask "Hada" to start the Quest line, if you are successfull you can turn adult. 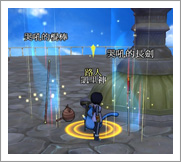 After adult form is achieved at Korin Tower, the player will get an option to choose from one of the two master classes. The two master classes according to each race will be represented in the form of their weapon and the player has to right click one of them to choose that particular one as their master class. Each class change quests are different, complete them to change to the master class and obtain the necessary mastery skill to learn even more skills from the chosen class. There are also five kinds of attributes for weapon and armor. Each attribute has its advantages and disadvantages in attack and defense against other attributes. The humans have the longest established culture on earth compared to the other two classes, and they have the largest ethnic population since they are spread all over the world. 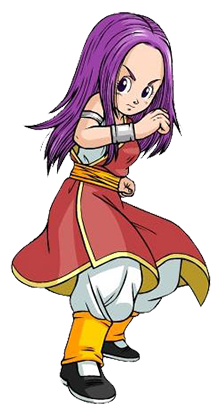 The human race is also quite strong since they have minor traces of Saiyan DNA in them, it is said that the human race holds a powerful, hidden potential, due to the Saiyan blood they possess. They have strong physical attacks and speed. They are good at melee combat (Close Hand Combat), also have a few energy attacks some being far ranged. Fighter: They use sticks as their weapon, and have a wide range of melee attacks, they specialize in close combat, and they do great critical damage. They have low defense but their dodge makes up for that in most cases. They have a few energy attacks as well. In battle they can prove to be very reliable. Swordsman: They use sword as their weapon, and have powerful attack force, and can do critical damage. They have low defense but their dodge makes up for that in most cases. They also have a few energy attacks. They have many strong energy attacks, and all of them are far ranged so they can attack their opponents from a long distance which is very efficiant. Although the disadvantage is that they have poor physical attacks and defence, but the energy attack damage compensates for that. Turtle Hermit: They use a wand as their weapon, and have many long range attacks, they can take out multiple enemies in a single attack. In a team these attacks play a major role. Crane Hermit: They use a fan as their weapon, and have many magical skills which can do long lasting damage on others. They use long range attacks, and they specialize with their bleeds and paralyzing moves, also have a healing move. They also have a good amount of health and energy. Their defense is the best compared to all humans. Namekians were originally from Planet Namek but long ago it was destroyed by the evil tyrant Frieza. The Namekians then moved to New Namek which was again attacked my Mira and his evil forces and was destroyed in the process so the Namekians had to migrate to Planet Earth yet again. Namekians have no gender, they are to breed offspring through eggs. They have great physical and mystical powers. The Namekian warriors have great attack power. They are born with great vitality and defence, although the defence is not as good as other races, but still plays a very useful role in team battles. Dark Warrior: They use claws as their weapon, all their powers are based around their brute physical strength. They can deal with a lot of damage. They use hand to hand combat and they have many energy moves that hits all enemies around them. Shadow Knight: They use an axe as their weapon, they can take a lot of damage because of their high defense. They use hand to hand combat but their axe lets them use bleed moves that deplete health at a slow rate. They can also paralyze and confuse the enemy. They inherited the mystical power of their ancestor, they can manipulate magic to heal wounds and strengthen the ability of others. Although their attack power is weak, since more focus is on the healing powers. They play a very important role as healers in the team. 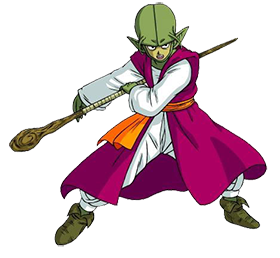 Dende Priest: They use a scroll as their main weapon, they specialize in healing other members or themselves. Long range attacks are their attack method using ki blasts. They have very useful buffs, and a good balance of health and energy. Poko Priest: They use a demon stone as their main weapon, they use long ranged attack, and can summon pet monsters to either keep an enemy occupied or to kill it. They have a good amount of health, energy, and defense. 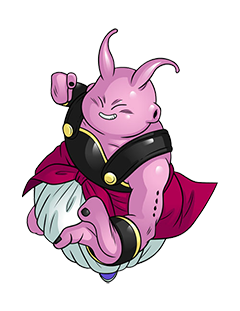 The Majin race started out from their great ancestor known as Mr.Buu and as time passed by the Majin population increased accross the world. They act very innocent and always stay happy. 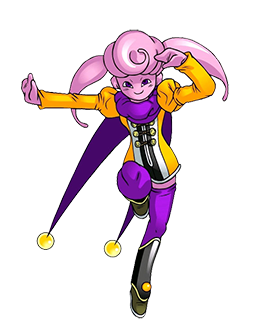 Most Majins work in amusement parks or food restaurants as they love food and fun rides. Their main goal is to have fun in life. Their soft body is like a cushion which defends against opponent"s attacks. They are very optimistic thus they don"t have much bad luck. They always have fun, even when fighting. While fighting they display varitey of attacks and spells which are quite effective. Grand Chef Majin: They use lolipop sticks as their weapon, and have a varitey of defensive magic attacks. They can also help enhance the defence abilities of others, which can prove to be quite useful in team battles. Ultimate Majin: They use a horn as their weapon which gives out exellent buffs to others in the form of music. They use hand to hand combat and they use their horns to shoot energy attacks. They have an excellent amount of health, energy, and defense. 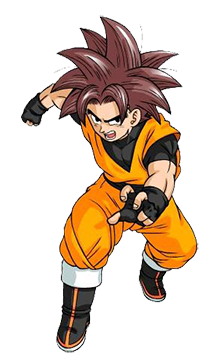 They still have a bit of evil majin blood in them, which is what makes them strong, therefore they have proficient attacking techniques. They also have some of the earth"s most strongest spiritualist attacks. Plasma Majin: They use drum as their weapon, they use long ranged energy attacks for combat and have useful buffs to buff others and themselves. They have a good amount of health and energy and they also have good defence. The are very useful in team battles. Karma Majin: They use mask as their weapon. Their specialty is their speed buffs and their ability to skill lock enemies. They also have good defence, health and energy.